Too many times, good people fall in love with the idea of owning a horse. And then these same people end up, sometimes, (not always, of course), finding out that it was more than they could handle. Then the poor horse , is sold, or worse, neglected. We don't want that to happen, it's heartache for the owners and the horse. So, here are some things to think about before buying a horse. Where are you going to keep it? If in your own backyard, do you have an availiable water supply that is constant and clean? Is there a shelter the horse can get in when the weather is bad or hot? Is there a place to feed where the horse feed won't get soiled, and the hay is up off the ground? If you are renting a private pasture at someone's home....how likely is it they will be selling their property soon and leave you in a bind? 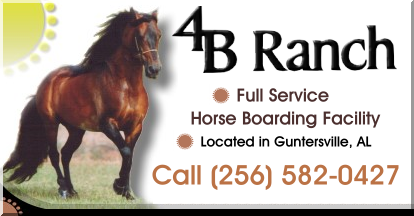 If you are boarding at a facility, have you made prior arrangements before picking up or purchasing your horse? Is the stable well maintained? is it secure enough to leave your teenagers there for an afternoon ride? Who will do the daily feedings? Daily grooming? Who will exercise your horse? Who will watch, feed, care for your horse while you are on vacation? Do you have a veterinarian who lives or works close by in case of emergencies? How and when will your horses hooves be taken care of? Where will you purchase your feed, hay, meds and tack? How does a horse fit into your budget? Do you have an emergency fund set aside? Has anyone had riding lessons? Have you looked at horses schooled at a level proficient for your rider? DO you know the proper way to handle, tack up, and approach your horse? How will you transport your animal? What temperment and breed of horse is suitable for your needs? Do you know a network of people who can help you with advice? Have you read up on basic horse care? Can you treat simple wounds yourself? Is your pasture safe? There should be no holes, and definitely watch out for toxic weeds growing there. What kind of fencing does your pasture have? Is it safe and humane for humans and horses? Is there supervision and security available for your horse and children at a public barn? While these are just a few of the things you should think about, it will give you a good jumpstart into horse ownership. Make sure you can answer these questions before you take the leap! Author is a longtime horse owner, enthusiast and fanatic. Visit her at PattysPaddock.com, for the backyard horse enthusiast.